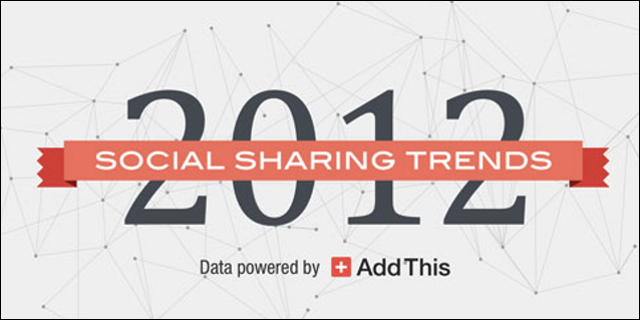 Today, social analytics platform AddThis released data on how we used social media in 2012. Their infographic, based on sharing across 14 million domains, is below. And it contains a lesson for startups about making assumptions about your customers. Entrepreneurs tend to immerse themselves in a geeky, tech-savvy world, and they can forget that most people don’t know what an API is, or care about super-minimalist design. As the data show, Apple’s iPad announcement and the Facebook IPO – veritable news tsunamis in the tech world – are but blips in the year’s overall sharing. Mainstream events like the Olympics, Hurricane Sandy, and the election were far more buzzed about. Even the Chick-fil-A controversy and Whitney Houston’s death got more attention. In that same vein, the year’s biggest hit was a 34-year-old rapper from South Korea and his weird dance moves.